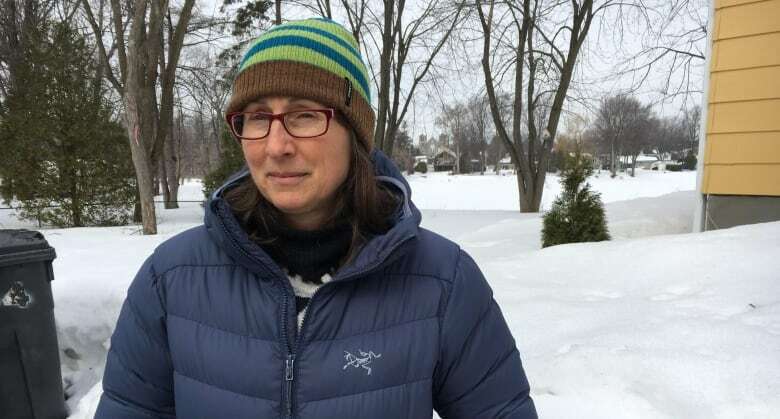 Two years ago, Hélène Guilbault’s home was surrounded by water, as was nearly every other home on Île Mercier, a tiny island wedged between Montreal and Île Bizard, Que. The water rose so high that, despite a wall of sandbags, it overwhelmed the home’s foundation and started pouring into her basement. “I saw this huge wave coming in, and within like five seconds, it was full,” Guilbault said, standing in front of her yellow, one-storey house on the banks of the Rivière des Prairies earlier this month. Her yard is blanketed in snow and ice right now, but with warmer temperatures on the way, Guilbault and others are bracing themselves for possible flooding. 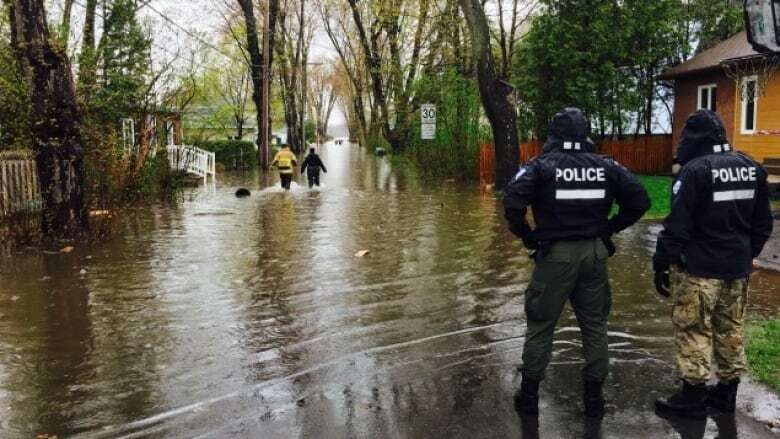 After an exceptionally snowy winter, Quebec municipalities are again watching the forecast closely, fearing another round of flooding. In some communities hard-hit by floods in 2017, officials are also thinking long-term, preparing for future disasters. 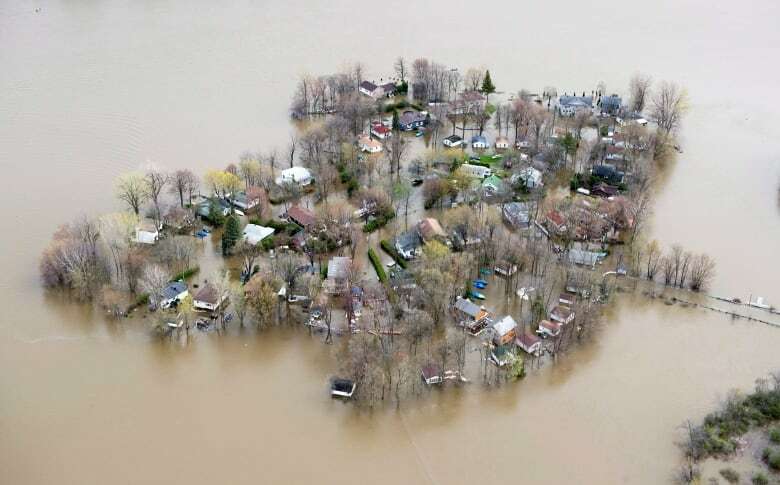 “As a mayor, I took a position that climate change will have an effect on flooding,” said Normand Marinacci, mayor of Montreal’s L’Île-Bizard–Sainte-Geneviève borough, which includes Île Mercier. His borough was among the worst-hit areas of Quebec two years ago. It’s something Marinacci hopes never to see again. Several homes in the borough were so badly damaged, they had to be demolished. 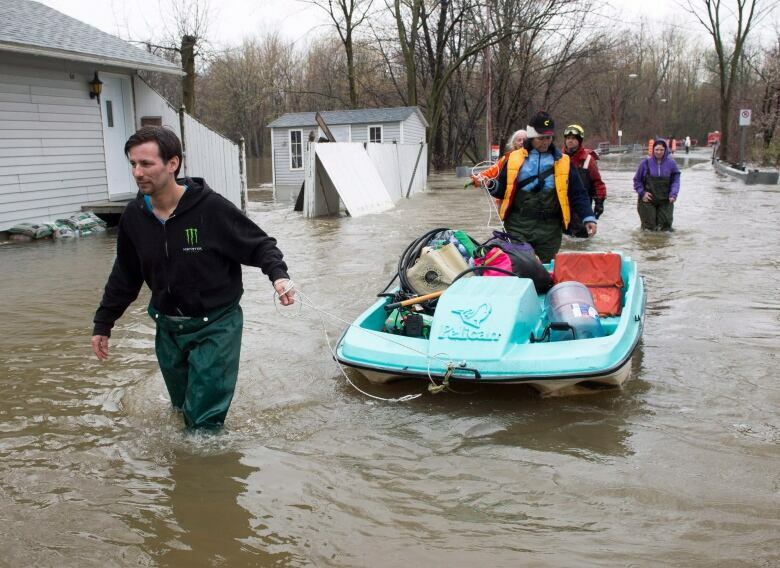 The province said it would not permit those homeowners to rebuild, because of the high risk of future flooding. Earlier this month, the borough took another preventative step when it passed a bylaw extending the no-build zone. The bylaw prohibits anyone from building or expanding on land that could flood within the next 100 years. “Why take a risk? Why give a permission to a person to build in a zone that is at risk?” Marinacci asked. Guilbault opposes the bylaw, which prevents some of her neighbours from renovating their existing houses. It also means some vacant properties can no longer be developed. She’s relieved she was allowed to fix her home and stay. “There is a cost in terms of stress that goes with it, because the water isn’t far,” she said. But in her eyes, it’s worth it. In her case, Guilbault said the damage to her house was valued at $150,000, and the province compensated her for part of that. Now that she has added pumps, rebar-reinforced concrete and lifted the building’s foundation, she is confident the house can withstand another flood. The debate around building on flood plains is happening in communities across the country, as local governments try to balance residents’ attachment to their homes and the desire to live near water with the realities of future flooding. “Even with a stable climate, flooding has always been the major natural disaster in Canada and because of climate change, it’s going to increase,” said Alain Bourque, executive director of Ouranos, a Montreal-based climate change research organization. The Insurance Bureau of Canada has been working with the federal government to try to ensure Canadians are better prepared. The IBC said insurance companies are losing money from payouts after natural disasters and that taxpayers are also on the hook after events such as flooding, due to public infrastructure repairs and the cost of compensating homeowners. “You may be able to put a home on stilts or absolutely encase it, but your support services are also at risk,” said Craig Stewart, president of the Insurance Bureau of Canada. 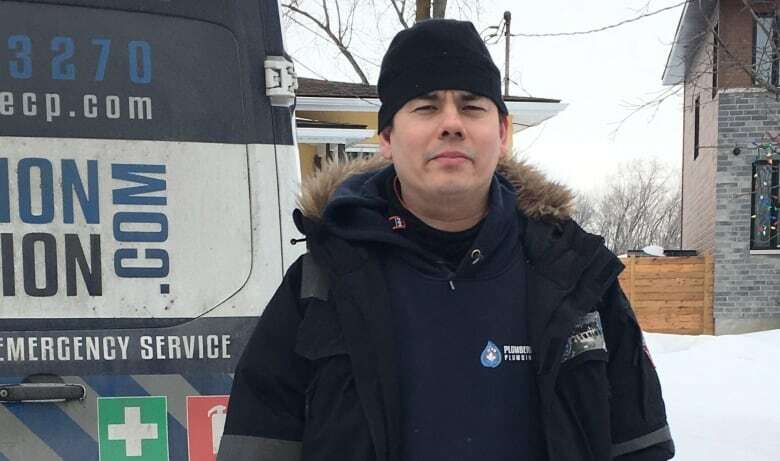 Plumbing contractor Olivier Ishii-Landry is also planning for more floods in the future. Pier-Luc Cauchon, who has lived in the borough all his life, has circulated a petition against the borough’s bylaw expanding the no-build zone because he wants residents on the island to have the chance to adapt. Still, Marinacci, the borough mayor, said it is a necessary change.